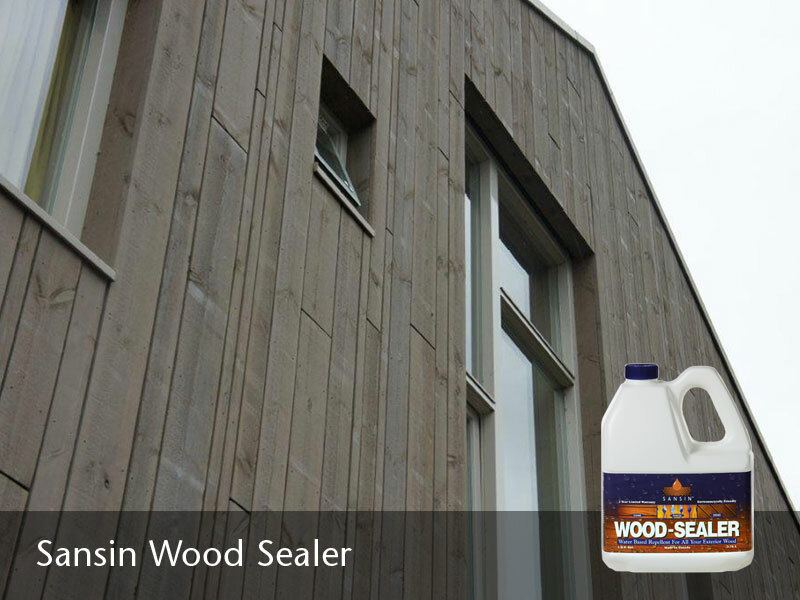 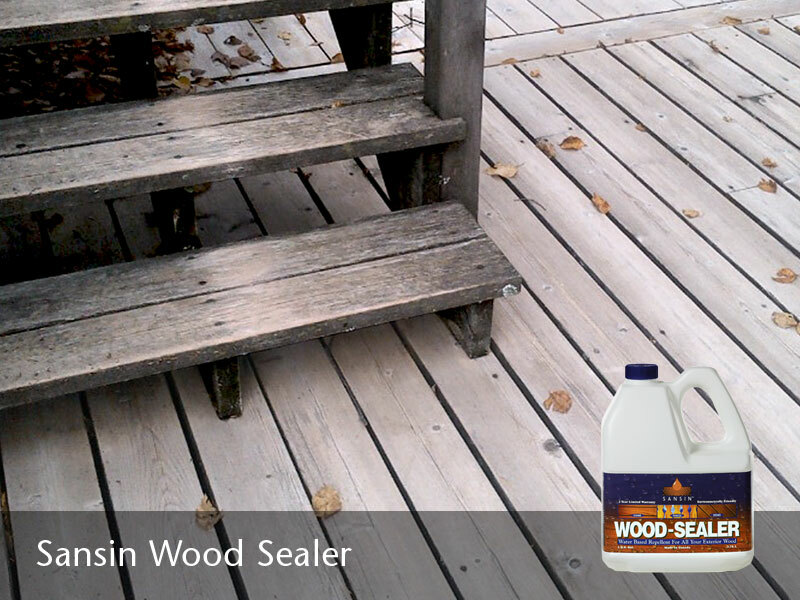 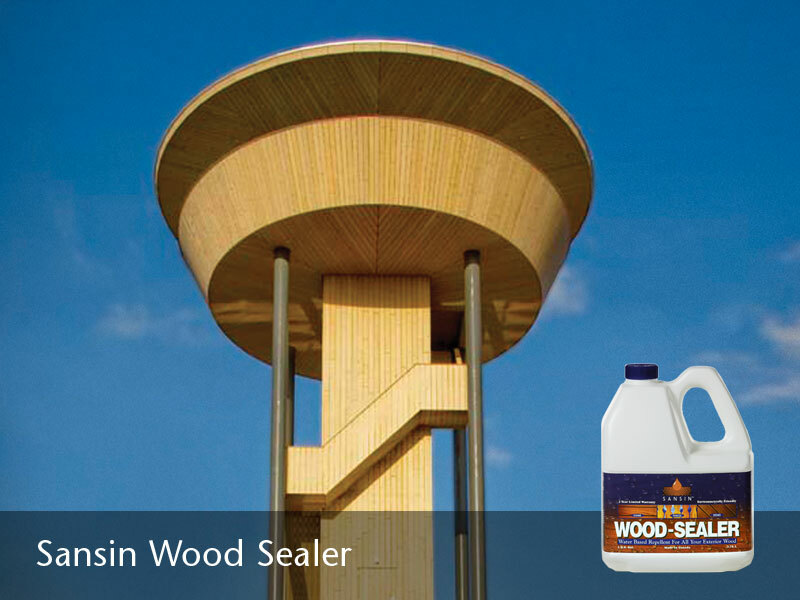 Seal and protect wood, masonry and shingles. 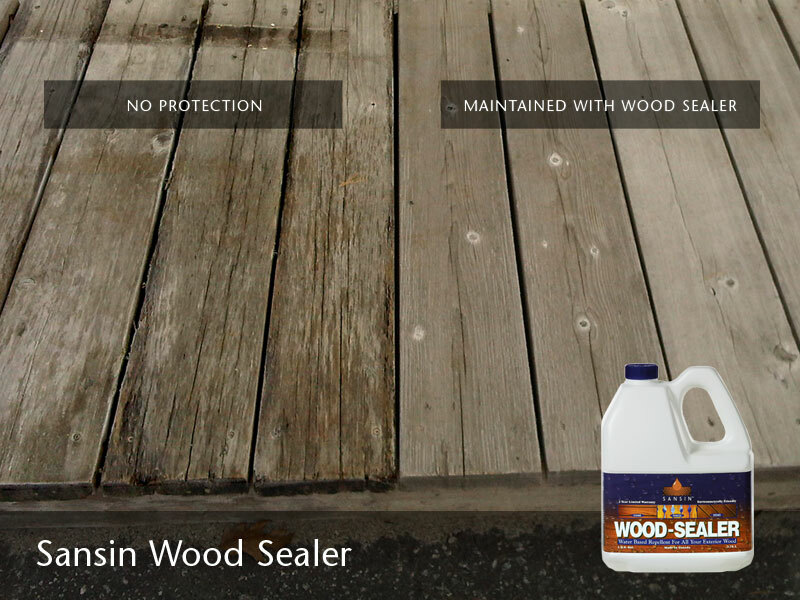 Sansin is committed to protecting every part of your home. 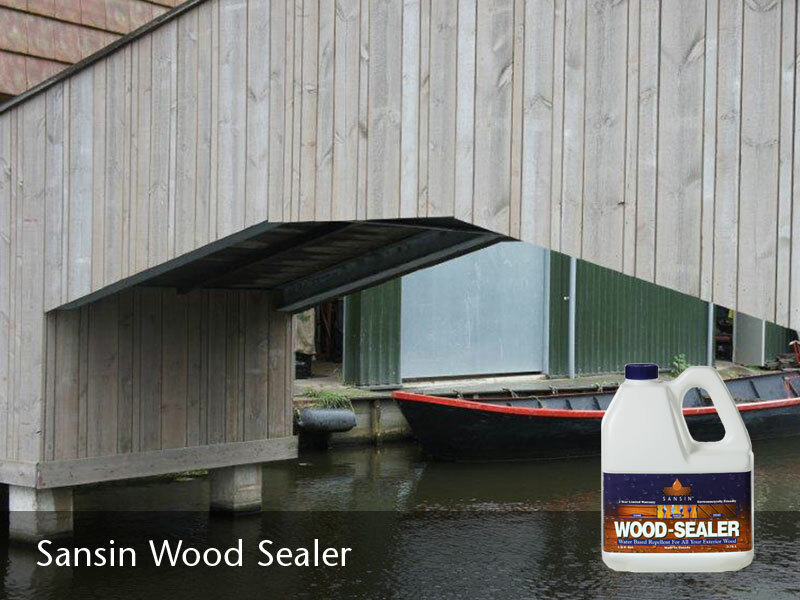 Because water absorption can cause cracking and staining even in inorganic materials like concrete, asphalt and masonry, Sansin has created treatments and sealers designed specifically to protect new and existing above-ground concrete, masonry and other materials from weather damage. 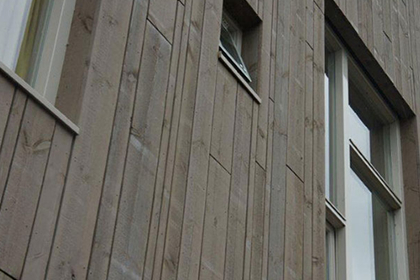 But when it comes to wood, the bleached silver look of naturally weathered wood is beautiful – but it still needs to be protected against water and UV degradation. 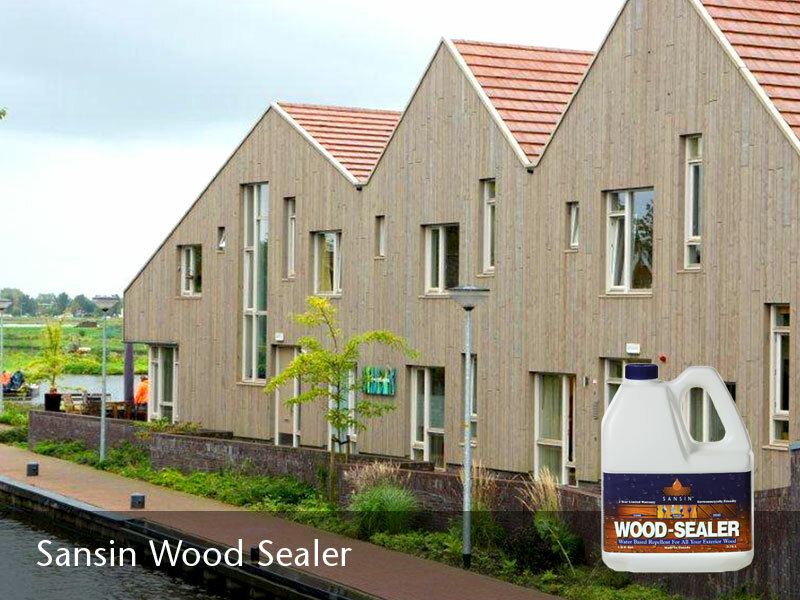 That’s why Sansin has developed an environmentally-friendly, even weathering wood treatment that aggressively repels rain and water while allowing wood to breathe and silver evenly – ideal for a variety of wood surfaces such as decks, siding and shingles.